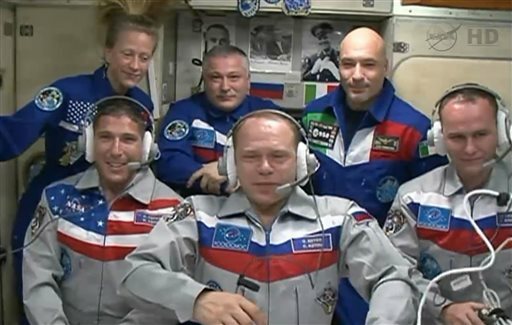 An Air Force colonel is now aboard the International Space Station. Mike Hopkins, 44, and two Russians traveled in a Soyuz capsule Sept. 25 after blasting off from a launch pad in Kazakhstan to dock with the space station, where they’ll spend the next six months. Hopkins was a special assistant to the vice chairman of the Joint Chiefs of Staff for a year until he began astronaut training in 2009, according to his official biography. He was one of 14 members of the 20th NASA astronaut class and graduated from Astronaut Candidate Training in November 2011. This is his first mission. There are now six astronauts, including Hopkins, at the orbiting outpost. Looking at the title of this article I’m led to believe that “space” is now a proper noun. What is up with the capital “S”?